IN THIS EPISODE.... Two women, a generation apart, sift through the scars of segregation and returning to a neighborhood that doesn't resemble what they remembered. In one of the country’s most segregated cities, the division seems nearly permanent: that black people in St. Louis live north, and white people south. Back when Christine Schmiz was growing up, plenty of white people lived in north St. Louis. But they left in a wave of white flight. Christine’s blue-collar family was part of this wave — a traumatic move for the then-14-year-old, who said she struggled since then to find a place she truly belonged. Decades later, during a process of reflection and self-examination, Christine found solace in an unlikely place — a poem written by St. Louis native Cheeraz Gorman. 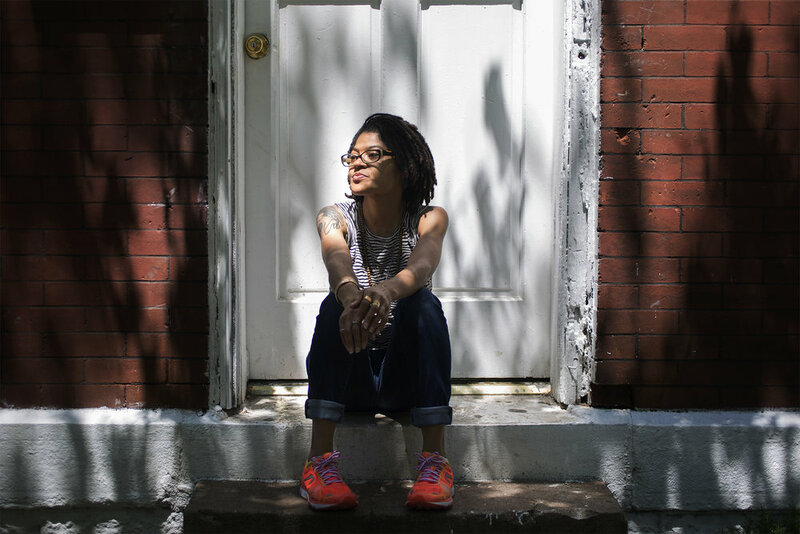 The young black woman also grew up in north St Louis, a generation after Christine, and tells the story of trying to make sense of what has become of her childhood neighborhood. Music in this episode is by Kai Engel, Drake Staffors, Art of Escapism and Jahzzar from the Free Music Archive.